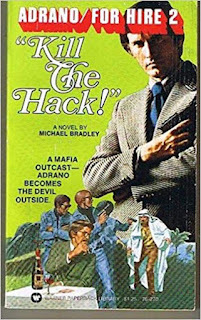 Adrano For Hire #2: “Kill The Hack” by Michael Bradley (Gary Blumberg). Adrano is hiding from his Mafia after trying to take over the New Jersey operation in the last novel. Don Rinaldi has put out a contract on him, but the #2 man, Stephen Rizzo wants Adrano to do a job for him. 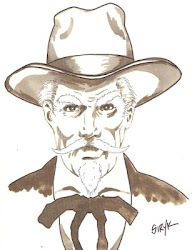 Rizzo had hired Louis Cerelli – The Hack – to kill Zito, an up and comer. The Hack does the job too well, for Rizzo’s girlfriend was in bed with Zito when The Hack killed him, Naturally, the crazy killer butchered Rizzo’s girlfriend also, then wisely disappeared. But he’s been spotted in Mexico, and Adrano has to find and kill The Hack, or be killed. It doesn’t matter to Rizzo who kills whom, but he wants one – or both – dead. This was a so-so story, though it sounded more like a fill-in story while the author looked for a real plot while making a deadline with a quick plot. However, the story did move, and there was some nice men’s action. But it is a let down after the first novel. Shawn Danowski: Shawn was a genius in plotting and building characters. A young man raised in Greenville, Texas he became friends with Steve Mitchell, and the output of both men just about filled up the pages of Fading Shadows magazines. Shawn loved old radio drama, especially Yours Truly, Johnny Dollar – and The Shadow, of course. 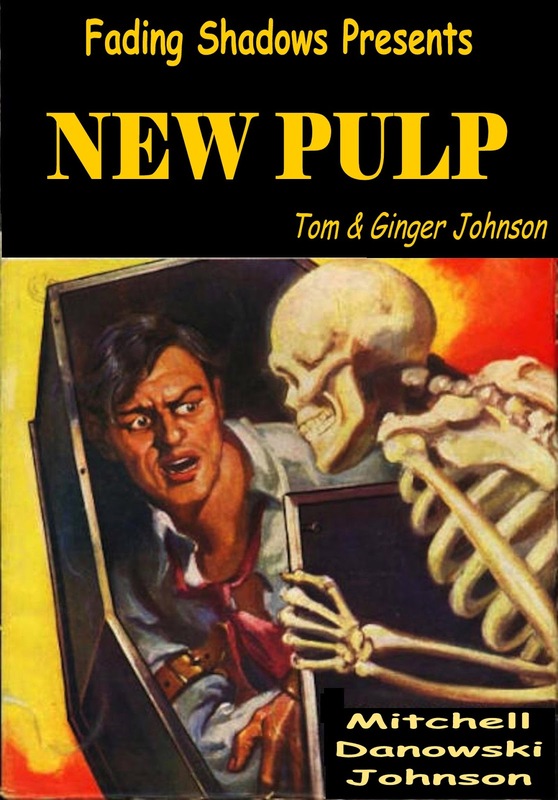 Plus, he loved the old pulp heroes like Secret Agent X and The Phantom Detective. Besides his many short stories, he also wrote three novels featuring The Visage, and one novel featuring Number Nine. Shawn was over seven foot tall, and had to use a cane for balance. 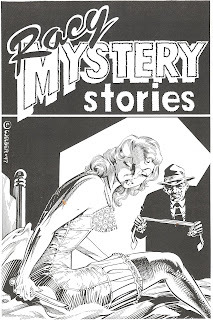 He was working on a new magazine for Fading Shadows, Racy Mystery Stories when he passed away from a rare cancer at age 30 or 31. 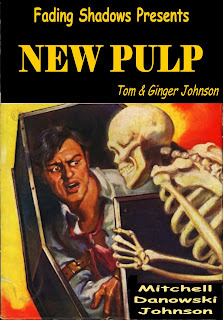 He would have gone far in the new pulp community if he had lived. And, sadly, his work may never be reprinted for modern readers. We met with Shawn in Archer City, Texas, at the big book stores of Larry McMurtry one day to visit while looking through rare books. Shawn, of course, was looking for old radio memorabilia. 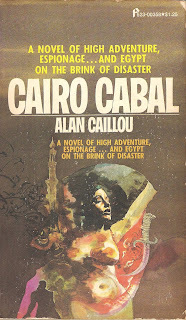 Cairo Cabal by Alan Caillou: The British no longer hold control over Egypt, but that doesn’t mean they will allow other countries taking over power. The riots of 1952 almost succeeded in bringing that power structure down, but the Army took control and stopped the foreign plans. Now, it appears Russia hopes to take power by the same way as was attempted in 1952, but with enough money and the right plans. It all starts with the discovery of a typed list in the room of a dead dancer named Princess Higran. The names are Oswald Pearman, Ibrahim Shulam, Stefan Bolec, Sergei Reizen, and Ahmed Saleh. Saleh’s name has already been crossed off, and he was reported killed in an accident. Pearman works for the British State Department, and he is provided more security. Shulam is a high-ranking police official. Reizen is a Russian journalist – spy. And Bolec is a small-time crook. A final name is written in pencil, Kamel Irani. Agent John Trent is assigned the case for British Intelligence, and suspicion is first put on Irani. The story is slow, the author extremely descriptive of scenes, locations, food, drink, everything about Egypt, and we are led to believe Irani is heading the plot until half way into this long travelogue, then suspicion slips to Reizen. As the story moves towards a climax, another leader emerges. If all of this wasn’t enough, false scenes of the unknown leader directing his men lead the reader astray, and there are hints that he is already among them, and may even be one of the British agents. These were false trails to lead the readers away from the truth. The story was good, and John Trent was a plausible agent, but some of the Egyptian secondary characters stole the show, so to speak. It was the Egyptians that finally captured the leader. 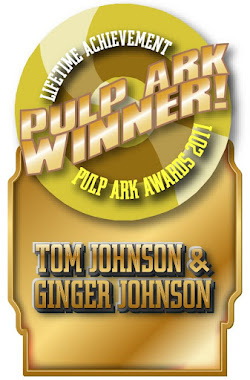 But too much description, and not enough action slowed the story too much for a smooth read.